NearBuy Bigbazaar Offer – Hello Wap5 Readers! 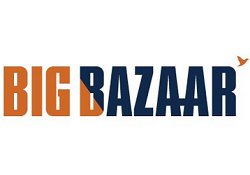 Here i am back with a new loot which will be called as BigBazaar Nearbuy Loot. nearbuy helps you discover the best things to do, eat and buy wherever you are! Make every day awesome with nearbuy. Here i am posting official offer named PayTM NEARBUY 3 pe 200 Offer. Dine at the finest restaurants, relax at the best spas, pamper yourself with exciting wellness and shopping offers or just explore your city intimately. you will always find a lot more to do with nearbuy. Here i am giving you a step by step method from where you can buy BigBazaar Vouchers Worth Rs.1500 at Only Rs.850 using Given Method. PayTM 3 pe 200 nearbuy offer in paytm to get guarantee 200 cashback on making 3 nearbuy transaction. 2. Click on Sign Up and Create a New Account on Nearbuy using your mobile number. 5. Select your payment method as PayTM and You will get Rs.150 cashback in nearbuy account. 6. Make 3 Accounts & Buy 3 Vouchers By Applying Above Promocode and Pay Via Same Paytm Number Wallet (Most IMP) & You Will Get Extra 200 Cashback In Paytm. 7. After doing this, you will get ( Rs.150 + Rs.150 + Rs.150 ) in each 3 nearbuy accounts and Rs.200 in your Paytm Account with this Rs.150 Off On Rs.1000 Shopping. 8. This is an Official Offer from PayTM so loot it before BigBazaar Vouchers got Out of Stock. 4. You Can Show The Code at Counter To Get The Rs.150 Discount.